In a world where it's becoming harder to get people's attention, do not underestimate the power of direct mail marketing. 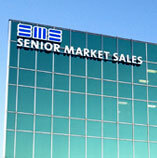 It continues to provide excellent return on investment for lead generation in the senior market. It can serve as the backbone of a multi-channel marketing plan. As Chief Financial Officer, Dan, is responsible for managing the company’s finances, including managing financial risks and financial planning and reporting. He also assists with the company’s strategic initiatives by forecasting, doing cost/benefit analysis and in securing funding. Get in on the extra earning excitement. Earn $25 per application for every qualifying supplemental health and accident policy, no limit. Bonus money for you, SilverSneakers* for your clients. Humana has more competitive premiums in many states for high-value Medicare Supplement plans. Submit qualifying underwritten applications and receive a $100 bonus. To receive a payout, you must submit a minimum of 4 signed applications (underwritten, guaranteed issue, open enrollment) within the same month and policies must be issued by July 15, 2019. You can earn extra cash when you sell Medicare Supplement plans from Mutual of Omaha or its affiliates. It's time to go All In with Medico's 2019 agent incentive program. The more Medico business you sell, the more monthly cash bonuses you'll earn. Best of all, there's no limit to how much you can earn, so go All In with Medico today! We’re excited to take our next broker incentive trip to San Francisco, where top producers will experience magical moments beyond the Golden Gateway. Aside from the mild weather, food, wine, cable cars, coffee shops and vintage classic architecture and culture, San Francisco is the opportunity for us to connect with each of you and showcase this city in a way you cannot even imagine!